A brand new Servant joins the fray. 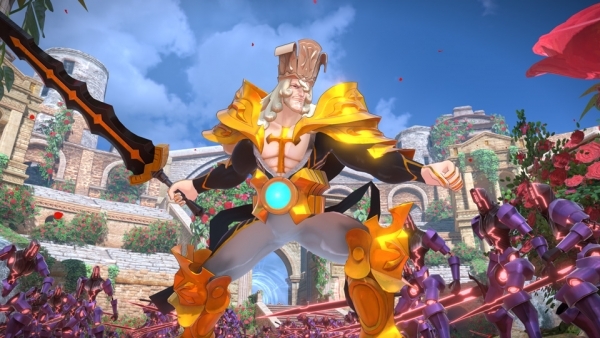 Brand new Ruler class Servant Karl der Grosse will be playable in Fate/Extella Link, Marvelous announced. Marvelous also released screenshots of a childlike Altera (voiced by Mamiko Noto), who goes missing in the opening of the game and is said to hold the key to the story. Watch a trailer below. View the screenshots at the gallery.